1. A candidate may apply for more than 1 post separately under this project subject to fulfilling eligibility criteria. 2. The process of Registration of application is completed only when fee is deposited with the Bank through Online mode on or before the last date for fee payment. 3. Before applying, candidates are requested to ensure that they fulfill the eligibility criteria for the post as on the date of eligibility. Admission to on-line test will be purely provisional without verification of documents. Candidature will be subject to verification of details/documents when the candidate reports for interview. 4. Candidates are advised to check Bank’s website www.statebankofindia.com or www.sbi.co.in for details and updates. Candidate should fulfill the eligibility criteria stipulated above as on 31.12.2016 for the post of Chief Manager (Cost Accountant) & 01.04.2017 for Contractual Positions. The officials will also be eligible for DA, HRA. CCA, PF, Contributory Pension Fund and perquisites as admissible to the corresponding grade etc. as per rules in force from time to time the total compensation per annum would be approximately Rs.21.78 lacs. CONTRACTUAL POSITIONS : The compensation package (CTC) would comprise of fixed and variable components but not a limiting factor for a suitable candidate. PROBATION : As per Banks instructions / decided by the competent authority. Selection for the post will be by shortlisting and interview. The General Manager, State Bank of India, Corporate Centre, Central Recruitment & Promotion Department, Atlanta Building, 3rd floor, Plot No. 209, VBR, Block No.III, Nariman Point, Mumbai – 400 021. Interview : Adequate number of candidates as decided by the Bank will be called for Interview. The qualifying marks in Interview will be as decided by the Bank. Merit List : for selection will be prepared in descending order on the basis of scores obtained in interview only. In case more than one candidate score the cut off marks [common mark at cut off point], such candidates will be ranked according to their age in descending order, both in the select list as well as in the wait list. PLACE OF POSTING : Candidates likely to be posted at Navi Mumbai. Bank reserves the rights to post his/her as per requirement of the Bank. FOR DETAILED GUIDELINES / PROCEDURE ON (a) Application registration (b) Payment of fees (c) Photograph & Signature scane & upload. Candidates are cautioned that they should not furnish any particulars that are false, tampered/ fabricated and they should not suppress any material information while filling up the application form. (i) Candidates should satisfy themselves about their eligibility for the post applied for. (iv) Candidates are advised in their own interest to apply online much before the closing date and not to wait till the last date to avoid the possibility of disconnection / inability / failure to log on to the website on account of heavy load on internet or website jam. 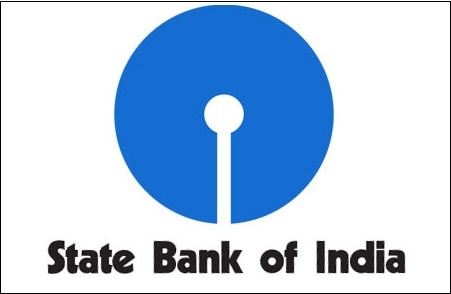 (v) SBI does not assume any responsibility for the candidates not being able to submit their applications within the last date on account of aforesaid reasons or for any other reason beyond the control of SBI. (vi) Candidates are advised to keep their e-mail ID alive for receiving advices, viz. call letters/ Interview advices etc. (vii) Appointment of selected candidates is subject to his /her being declared medically fit as per the requirement of the Bank. (viii) Any legal proceedings in respect of any matter of claim or dispute arising out of this advertisement and/or an application in response thereto can be instituted only in Mumbai and courts/tribunals/ forums at Mumbai only shall have sole and exclusive jurisdiction to try any cause/dispute.